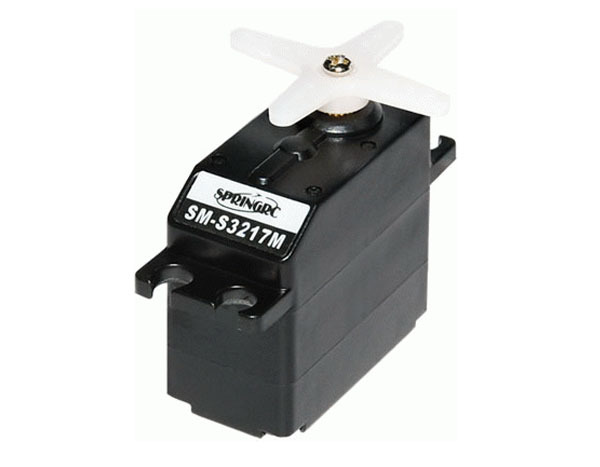 SM-S3317M SpringRC rc model airplane servo - Small analog servo with double ball bearing and metal gear. Designed and recommended were low weight, speed and accuracy is essential. The servo plug is compatible with Futaba, Hitec as well as a JR receiver.